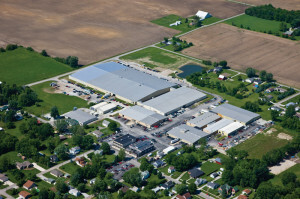 to be among the world’s largest manufacturers of projection screens, projector lifts, window shades, and gymnasium equipment, one thing has not changed: Draper is still owned and managed by Luther Draper’s family with the same business philosophy: to make a quality product and sell it at a reasonable price. 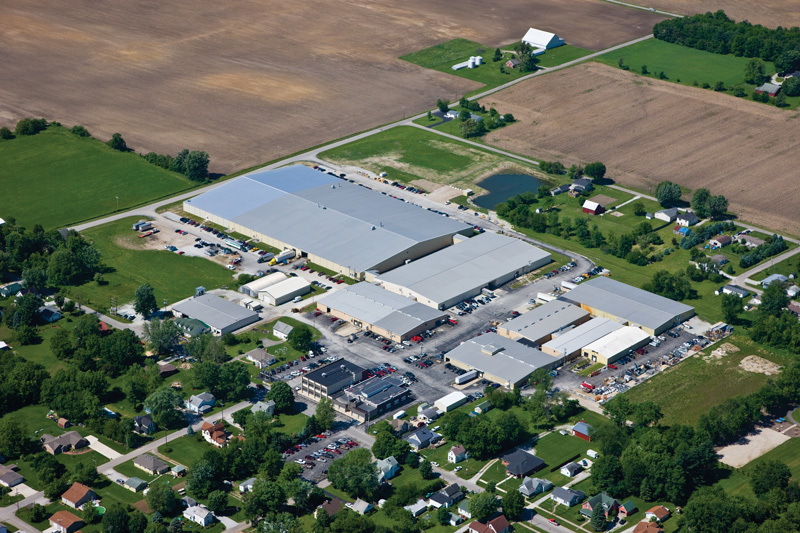 Draper is also still located in Spiceland, Indiana, employs over 500 people and exports to over 100 countries throughout the world. Draper developed our first projection screen—an inexpensive classroom screen—in the 1950s. Today we are one of the largest manufacturers of projection screens and related equipment in the world. As experts in the science of projection, we know what screen works best in any situation, and have the wide product offering to provide the solution you need. Not only are we leaders in the development of new viewing surface technologies, like TecVision, we have lead the way with other advances such as the “Access” concept of installing a screen housing during the “dirty” construction phase, and bringing in the surface later, when the site has been cleaned up. In addition to projection screens, Draper is also an innovator and world leader in the manufacture of projector lifts, flatscreen lifts, and videoconferencing camera lifts. We offer the world’s only scissor lift certified to the new UL 2442 and CSA C22.2 No. 60065-03 standards, and were the first to design a lift that keeps the projector above the ceiling and only lowers a mirrored door into the viewing space. However you choose to place your projector, Draper has a solution for hiding it when not in use. 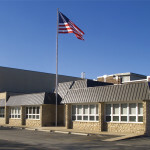 Draper is also one of the largest manufacturers of window shades in the United States. Houses of Worship often make wonderful use of natural light and feature large and beautiful banks of windows. Unfortunately this can create glare and heat issues, and also have a negative impact on projection strategies. Draper FlexShade Systems allow for almost unlimited flexibility in solar control, providing glare control and room darkening anywhere windows or skylights are found. Every Draper shade is custom made and individually tested to make sure it meets the high quality standards for which Draper is known. Today’s modern House of Worship is a community; a gathering place where many activities—including athletics—are offered. Draper is also one of the largest manufacturer of gymnasium and athletic equipment in North America, providing everything for a new gym including basketball backstops, gym dividers, wall pads, volleyball equipment, and more!